This small, intimate resin-coated watercolor painting is mounted with archival glue onto a wood panel block with a deep 1 1/2"profile. It can be a freestanding artwork or hang in those little spaces that are just calling out for artwork! It was created in my very own backyard garden. Every time a new flower bloomed in my perennial garden, I would paint a study of it. 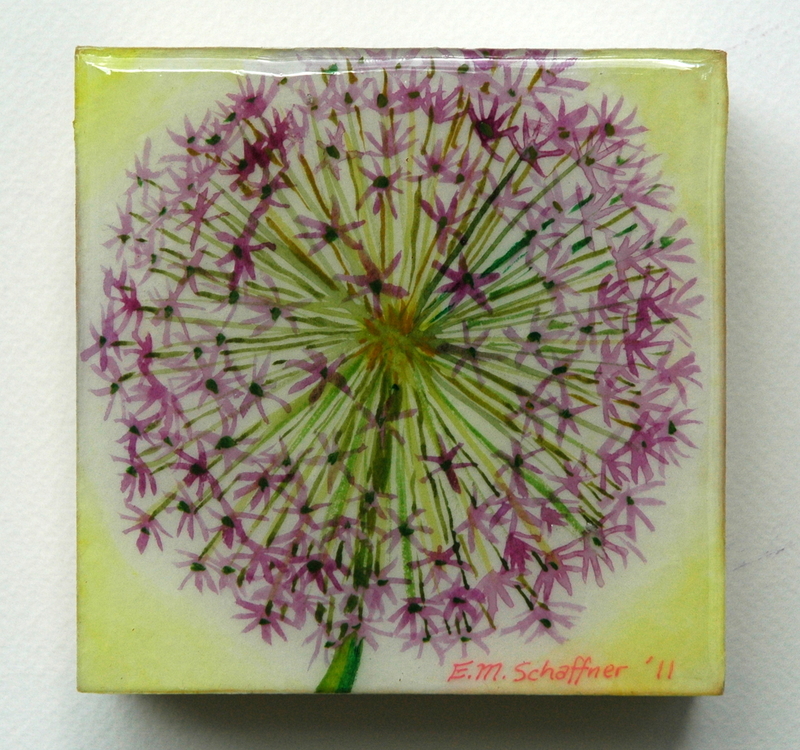 It is only 4" x 4" but has beauty on a much larger scale!